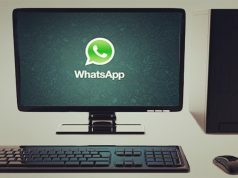 WhatsApp is a very popular messaging application, which works across different mobile platforms such as the iPhone, Android devices, and even Windows Phone. 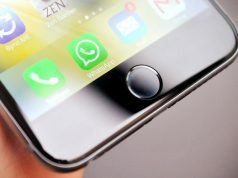 WhatsApp also becomes an alternative of the stock Messages App on iPhone, with it the users can send free text messages, audio, and media files to their friends and relatives across the globe for free, but the app itself does have some limitations. 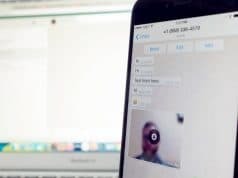 To break these limitations, jailbreak developers created many cydia tweak lets users break free from almost all of the restrictions that WhatsApp put on its users. 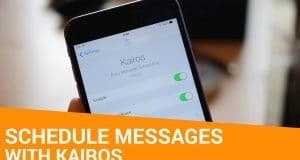 Instead of having to try out every jailbreak tweaks out there, here are some of the best iOS 9 Cydia tweaks for WhatsApp that you can use on your iPhone and iPad. The tweak brings the most-requested features to WhatsApp. Such as Stealth Mode, Disable Read Receipts, Selective Read Receipts, Disable Delivery Receipts, Custom Theme, Custom Text Color, Full Profile Pic, Send Unlimited Media, Share Music, Record audio, Passcode/TouchID and Clone WhatsApp. The tweak Compatible with iOS 7, 8 and 9. As the first firewall for WhatsApp, it allows you to select from who you want to block messages and it also removes the notifications from blocked users protecting your privacy. The best in Quick Reply and Compose for WhatsApp. Requires on Couria, all in one platform centralised Quick Reply & Compose system. Tons of options included and can be configured via Couria’s WhatsApp settings. Requires WhatsApp 2.12.4 or above. The tweak brings the real SpringBoard 3D Touch function to WhatsApp, just open the app one time to activate the menu, includes search, Mew Chat and Last Chat option. WAChatsHeads bring chatHeads for WhatsApp giving a fast and flexible way to chat and see your conversation over any application is the best quickReply for WhatsApp. Watusi can be the one stop solution to providing you all the sorts of improvements you may want to boost your WhatsApp account. This tweak allows you to hide last seen, typing indicator, disable delivery receipts and read receipts to make sure you have needed privacy. The tweak adds quick reply and compose for WhatsApp, it is now available at Modmyi Repo for free. WhatsApp support limited types of files to be sent through it’s application, but with WASendAny9 it’s unlocked it support all types. it is now available at Modmyi Repo for free. WAPrivacy improves your privacy on WhatsApp Messager (copyright of WhatsApp Inc). It includes many options such as spoof the Last Reset Date, disable the Send button (for Safety) etc. That’s all, you can find almost all whatsapp tweaks listed above from the default BigBoss and Modmyi repos in Cydia.